You’ve decided that a rotary screw compressor system is the right choice for your application; maybe you are converting from using reciprocating compressors. When installing your new compressor you’ll need to locate a few different components and plumb hosing between them. In this article, we’ll briefly explain the functions of the components of a rotary screw compressor system. The main component of your air system. This is where atmospheric air is brought in and compressed to a higher pressure. Compression (and cooling) is completed with the aid of rotary screw compressor oil that is injected into the compressor whilst it is turning. The compressor has moving parts and will need a source of power to drive it. This power may be an engine driving a belt, hydraulic fluid, or a shaft. You can find more info on drive systems here. When compressed air leaves the compressor it is mixed with compressor oil. This mixture enters a separator tank where the first steps in separating the oil from the air happens. This is generally done by directing the air into different directions to allow a change in velocity. This action allows the oil molecules to gather together and form droplets that eventually fall to the bottom of the tank. A large amount of oil is removed from the air in this stage. Often, the separator tank also acts as an oil reservoir. Once the compressed air leaves the primary separation tank it is close to being oil free. 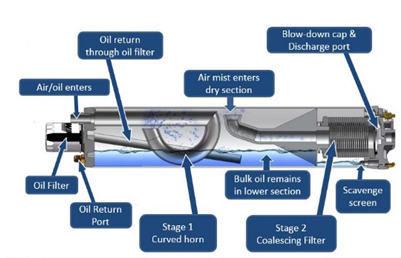 The remaining oil mist mixed with the air will enter the secondary separation filter, (the coalescing filter). This filter comprises a membrane material that gathers the remaining oil particles and circulates the oil back into the main oiling system. The air leaving the coalescing filter is considered to be oil free. 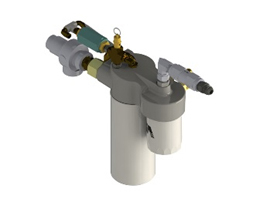 The secondary separation filter is attached to the primary separation tank or mounted remotely on its own filter manifold. As a rotary screw compressor has a closed loop oiling system, the installation must include an oil filter. 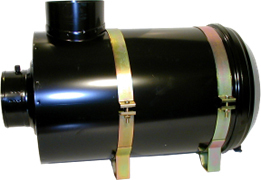 This filter can be located on the compressor, the separator tank or mounted remotely on a filter manifold. The process of compressing air generates heat, lots of it! Compressor oil is used for sealing the rotors, lubrication and cooling. 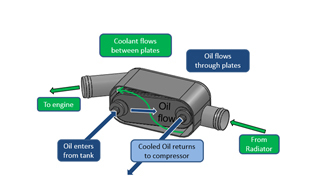 The oil must pass through a cooler before it is circulated back to the compressor. 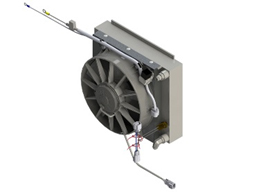 A liquid to liquid cooler can be used in conjunction with an engine’s cooling system or a stand-alone air to liquid cooler can be used; each has its own benefits. 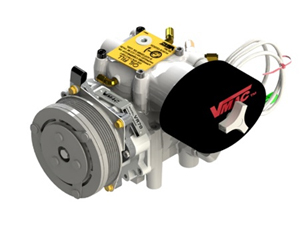 The liquid to liquid version will need sufficient cooling capacity to cool the compressor oil combined with the engine cooling. The air/liquid cooler will need clean, cool air to keep the oil within an optimal temperature range. As it’s likely that your rotary screw compressor system has components located in different places, moving oil and air between them requires the use of hoses. The hoses you choose must meet the requirements of heat, pressure and the chemical components of the compressor oil. Incorrect hose selection will result in premature failure of those hoses. Another consideration is hose routing, you must ensure they are kept away from hot, moving or sharp components to protect them from damage. Whether you use mechanical or electrical controls, (this could be a button, switch or lever) you’ll need to locate them somewhere accessible for the user. 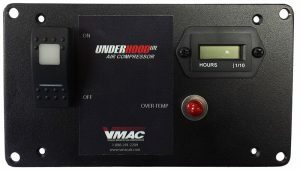 Also, keep in mind that the location of an auto-shutdown circuit, for when the compressor gets too hot, and an hour meter, to track compressor hours for servicing, are important. The location and type of components used should also reflect the environment they are in. 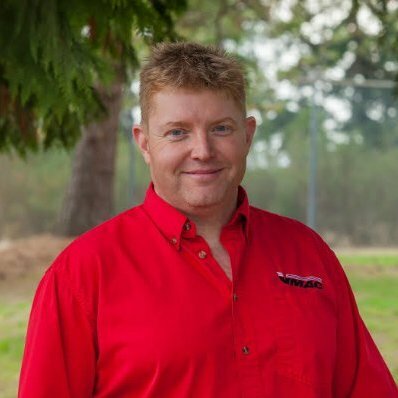 The quality of air entering your compressor will affect the longevity of your system. Using an air filter suited for the environment and the air flow required is a necessity. That air filter can either be mounted directly to the compressor or remotely mounted and connected with an air intake hose. Cool, clean air should be considered when choosing the location of the filter. The components listed above are necessary, in some form, for your rotary screw air compressor system. There are many more options for filter manifolds, coolers, oil separators etc. A thorough understanding of your requirements will guide your choice of components. Proper specifications and installation, combined with proper maintenance, will help your system operate for years to come. Learn more about rotary screw air compressors in our Easy Guide To Rotary Screw Air Compressors for Trucks & Vans.